The Lead Member refers to ‘negative’ feedback. The original release can be found on http://www.wrexham.com/news/20-businesses-join-scheme-to-offer-vulnerable-people-a-safe-place-when-visiting-wrexham-149906.html that Cllr Krista Childs refers to just before Cllr Lowe’s comments, noting she is on the committee but was unaware of the scheme. This reply was modified 1 week ago by Rob. 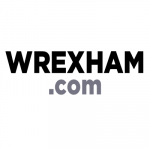 The point was that the initial news post from WCBC was contradictory to itself, not the met office of which did not forecast snow for Wrexham. To clear that up, the Council claim was published against our note at the bottom pointing out stuff we had looked at did not concur that there would be large amounts of snow – thus the piece this afternoon, which has gone down badly with some council staff I am told. – In the second row, you have two boxes ‘Target’ and ‘Date’. Drag the ‘Date’ box down to the row below and put it next to the ‘Measure’ box. (when you drag the boxes the box you are dragging appears miles above the mouse, so it easy to think its not working. you need to ‘drop’ the actual box and not the mouse). – Now drag the ‘Measure’ box and put it in the place where you just got the ‘Date’ box from. – You should now see data for all dates and you can use the drop down on the ‘Date’ box if you wish to filter to certain date ranges. – Now you can just use the export button to export the data. Brilliant – thanks very much! Never even thought to try and drag and move them around, and as you say even then they appear about 100px higher! Target , Measure , Date in that order and then expanded out makes the info I manually did pop up and thus exportable if that helps anyone else reading! Rob: I got the figures from the Excel file that was the last download link on the page that you linked to in your article. Thanks – had not spotted that dataset. I still can’t export the full dump of https://statswales.gov.wales/Catalogue/Health-and-Social-Care/NHS-Hospital-Waiting-Times/Accident-and-Emergency/performanceagainst4hourwaitingtimestarget-by-hospital – I could be being thick but it seems to only allow one month info at a time? Katy did you find a global export function or was it a manual job to get the figs? The percentages do seem at odds with page 11 of the report https://moderngov.wrexham.gov.uk/documents/s13813/Item%206.pdf which has the table. Lead Member and Officer did not seem to pull up any issue, with the latter referring to percentages in the answer and two different ranges (one clearly a percentage) when talking about targets. Thanks to the reader in touch pointing out this is also a council car park, and did not appear to be gritted. I am told signs were put up saying this level was closed after this video was posted. I asked Wrexham Council on this earlier today to fact check if infact a normal gritting lorry was in the councillor carpark around that time. The question appeared to be passed to the relevant council officer and Lead Member. characteristics, which require protection from frost throughout the night. I assume the ‘Main Council maintained Car Parks’ is the bit that is being pointed to as explaining this was entirely normal and inside policy that councillors have recently approved. Account has also been locked so now not public unless already following him, or newly accepted. The tweet was still visible here via the Tweetdeck twitter product.